Business is rated 4.9 out of 5 by 11. Establish your brand presence with business stickers. Rated 5 out of 5 by CSMEYERSWEBSTER from Great printing, great prices. The printing makes my client's happy, so I'm happy. Rated 5 out of 5 by Maple Doc from Happy customer I needed new maple syrup labels. I was able to upload my updated business logo easily. Very happy with the service and the final products. Rated 5 out of 5 by PorterCo from Great service, easy website, great products. Great service, easy DIY website, great products! Recommend! Nobody forgets a great sticker. And with business sticker printing, your brand has a chance at being remembered by the people who matter, your customers. Our business stickers are available cut-to-size or on a roll. There are four shapes to choose from: square, rectangle, oval, and circle. Rounded corner options are available for roll stickers. Our different shape options makes them ideal for custom product packaging. When you print business stickers with us, you get to choose the kind of paper to print your stickers on. Each paper has its own look and feel. Uncoated paper may look flat but it also allows you to handwrite notes. A gloss paper will give your stickers some sheen while a high-gloss paper will really help your stickers draw attention. These options expand further when you print on a roll. You can print clear or white stickers. You can also choose to print on one of our textured papers. Your custom business labels can be printed in as fast as 1 business day. Don’t have a business sticker design just yet? You can make one through our no-fuss design tool for free. 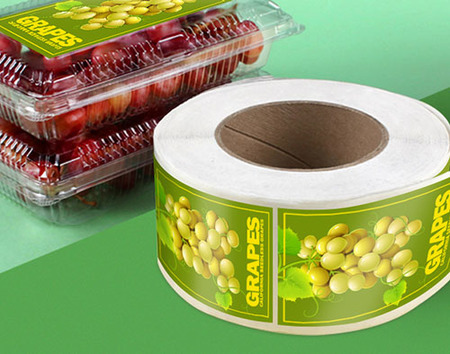 Custom business stickers are not only great for product packaging. You can also use them for promoting your business at corporate events. Some have gone so far as using personalized business stickers for guerilla marketing campaigns. Do you send out mail on a regular basis? Stick your custom business labels on envelopes. You can also add them to presentation folders and make your corporate events feel more professional. Company stickers are cheap giveaways you can hand out at company events. Or simply give one to every customer who makes a purchase. This increases brand loyalty and contributes to having repeat orders.